Skin Medica TNS Essential Serum Review: Can You Trust This Product? Skin Medica TNS Essential Serum, US $281 for 1 fl. oz. bottle, commits to restore your skin’s energy and vitality with every use. It brings your mature skin closer to your youthful skin hopes by bringing together brighter complexion, better hydrated skin and lighter dark marks with regular product use. Infused with a mean and lean lineup of ingredients, might this be the product that transforms your skin with visible improvements? 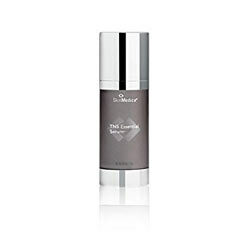 Skin Medica TNS Essential Serum is recommended for twice daily use, once in the morning and once again at night. Apply this product only on skin that has been freshly cleansed and toned. Apply a generous amount of this product on your face, neck, chest and back of your hands, areas of your skin that are most prone to UV damage. When using this product in the morning, always layer with sunscreen. Skin Medica TNS Essential Serum may be the product that complements your skin type and needs. With a product this expensive though, you have to be honest to yourself that price should definitely be a factor as to whether or not you sign up this product for your skincare regimen.